Well, the Exodus 1 is actually not the first one announced with the tech as we've already had the Sirin Labs' Finney announced. 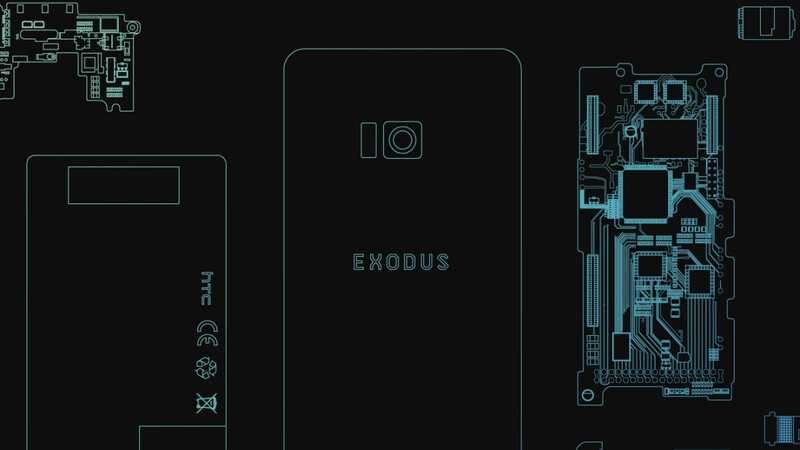 Exodus, however, comes with the significant HTC backing and phone-making expertise which is no small feat. The Exodus is an "early access" device, meaning that once you pay in Bitcoins or Ethereum currency, you'd be getting your mitts on gear that will only grow more useful with time, as HTC opens the APIs to cryptographers and developers. Your cryptocurrency keys or tokens, as well as your private data, will be stored in a secure section that is invisible to the Android system the phone actually runs on. Developers will be given access to a so-called Zion API to use the Exodus hardware for signing transactions, while a wallet SDK can be had by trusted partners that intend to develop the new Exodus ecosystem. In short, it's a phone not only for cryptocurrency mavericks but for all who believe in the decentralized blockchain concept and comes with the hardware to match. HTC hasn't fleshed out all the specs completely, but suffice it to say that the Exodus will have all the bells and whistles of a flagships 2018 phone. How about a 6" QHD+ display paired with a top-shelf Snapdragon 845 chipset and 6GB/128GB memory combo? The Exodus has those and throws in a dual 12MP + 16MP rear camera with "high quality" zoom, plus dual 8MP front cameras, too. Running on the Android Oreo platform, and backed up by a decent 3500 mAh battery pack, the Exodus won't shame its owners with specs or with the eventual transparent design, so how many Bitcoins for it, and when will it be released? Well, the price is 0.15 BTC to be exact, or about $960 in today's rate, and Exodus 1 can be had by signing up for the early access programme at htcexodus.com in no less than 34 countries, starting with the US, Taiwan, HK, Singapore, New Zealand, UK, Austria, Norway, and other European countries. The shipments are expected to start in December. Any takers? Can anyone tell me if there is any point even for people with crypto currency background to buy this phone?